You may soon be able to use your browser to send texts if recent reports from Android Police and XDA prove accurate. The websites both discovered browser texting functionality when conducting AKP teardowns of the Android Messages 2.9 update. While performing the teardowns, AP and XDA discovered what appears to be an Android Messages web interface of sorts. 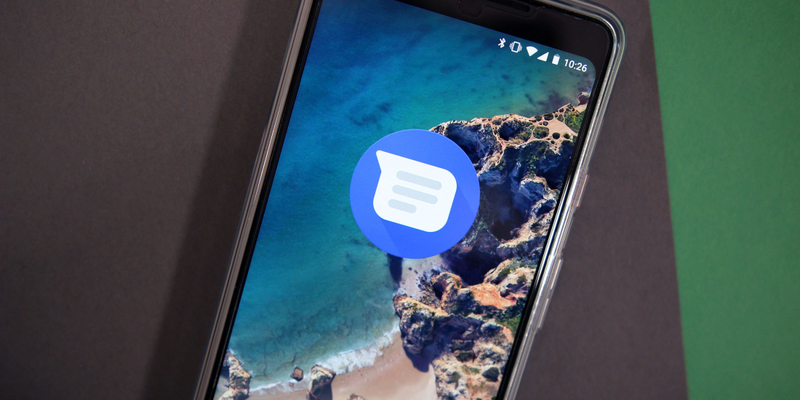 However, unlike Google Allo (which recently received a web interface of its own), it appears you'll be able to send actual SMS text messages through your browser, not just web messages. Supported browsers could include Google Chrome, Microsoft Edge, Firefox, Opera, Safari and Internet Explorer. To access the feature, users will likely need to use the mobile app to scan a QR code provided by a dedicated Messages web page. XDA was able to "partially enable" the feature but attempting to access the "Messages for web" option to initiate the phone-browser pairing process simply results in the app crashing, suggesting the feature hasn't been fully implemented yet. Certain code strings seem to hint that users will need to pair their mobile device to their PC manually each time they want to use the functionality, likely for security purposes. This could prove to be a smart move on Google's part as other portions of the APK's code point towards the ability to send payments via text messages, probably using Google Pay. As interesting as this feature sounds, only time will tell if it will become a reality. Google may ditch or heavily tweak it at any point in the future.